The line at Angel’s home business, a sari-sari store in Quezon City, is quite long. There are construction workers buying cigarettes. Some are mothers buying sardines, corned beef, and detergent. There are children asking for snacks. Most of them, however, are paying their water or electric bills. Some of the workers are sending money to their loved ones in the provinces. There are also requests for prepaid credits, or game PINs for the nearby computer shop. Angel looks at the storekeepers and smiles. Business is good today. Aside from the usual commodities, Angel’s store now offers bills payment, money remittance, prepaid credits, and more. People in the neighborhood flock to the store to do digital transactions. They would rather do business with Angel than go to the nearest payment center, about half an hour away. “They find it’s more convenient,” Angel explains, and the customers at the store agree. “We don’t even have to look presentable,” one customer volunteers, and everyone laughs. Angel’s story is just one of the many personal breakthroughs made possible through the Grameen® Foundation. Throughout the world, Grameen® is helping women achieve #HerBreakthrough–personal triumphs over hunger, poverty, and illiteracy. POSIBLE.NET is one of the Foundation’s partners in the Philippines, helping women have their own home business. For many women across Asia, having their own business helps them assert their strength and independence. In short, it helps them be treated as equal to men in many societies. This allows women to experience more opportunities than their status allows them to. 2. Less stress. With traffic in many Philippine cities nearing epic levels, Angel notes how convenient a home business like POSIBLE.NET can be. “It saves people a lot of time,” Angel says. Many people in her neighborhood choose to pay their bills at her store instead of the payment center. “It’s only half an hour away, but you can do so much with 30 minutes. That’s why they choose to pay through our store,” Angel adds. 3. More possibilities for fulfilled dreams. 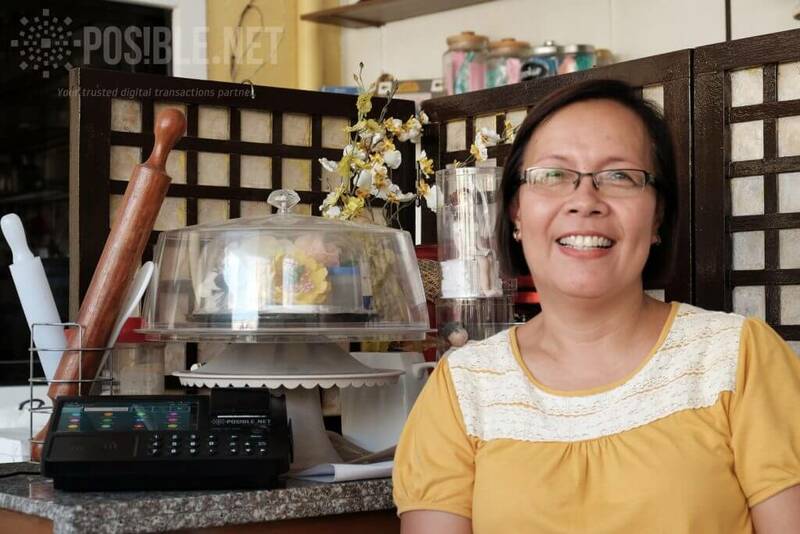 Gerlie of Cavite added her POSIBLE.NET business to her bakery. The income from selling prepaid credits and processing remittances helps fund her niece’s education. “We have a lot of customers paying bills or sending money. The earnings are my niece’s allowance. It helps her go to school,” Gerlie proudly explains. 4. Unleash creativity. Gerlie’s passion is creating custom cakes. “When people pay their bills here, they find that I do custom cake designs,” Gerlie says. In this way, she gets more customers and orders–and more opportunities for her creative side. “It’s what I really love doing,” she adds. Follow the Grameen® Foundation on Twitter. To learn more stories and support more breakthroughs for women, visit here . How much will be the capital?.. I am interested but how? I also want this kind of business, I’m a full time mother I want extra income, so that I can also help my husband. Hi Thelma, to assist you better, kindly fill up the form on this link: http://posible.net/be-a-ka-posible. Thank you. ? Hi Allen, to assist you better, kindly fill up the form on this link: http://posible.net/be-a-ka-posible. Thank you. ? Hi Winnie, to assist you better, kindly fill up the form on this link: http://posible.net/be-a-ka-posible. Thank you. ? Hi Joecilda, to assist you better, kindly fill up the form on this link: http://posible.net/be-a-ka-posible. Thank you. ? Hi Dan, to assist you better, kindly fill up the form on this link: http://posible.net/be-a-ka-posible. Thank you. ? Hi,how and how much the capital..
Hi Melba, to assist you better, kindly fill up the form on this link: http://posible.net/be-a-ka-posible. Thank you. ? Hi Mariliortisa, to assist you better, kindly fill up the form on this link: http://posible.net/be-a-ka-posible. Thank you. ? i am interested pls help me. Hi Reliza, to assist you better, kindly fill up the form on this link: http://posible.net/be-a-ka-posible. Thank you. ?